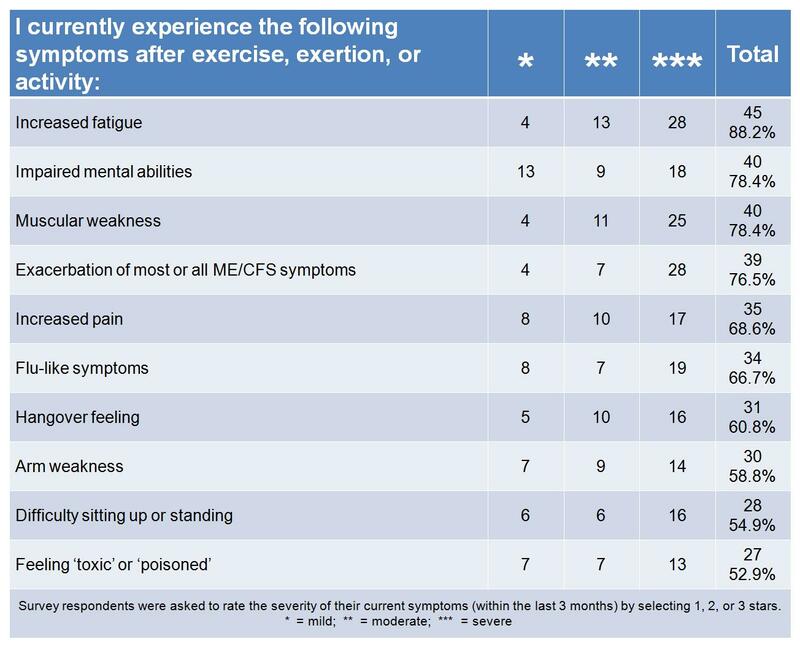 XMRV Positive Survey: Is PEM Pathognomonic* for XMRV Associated Neuroimmune Disorder? 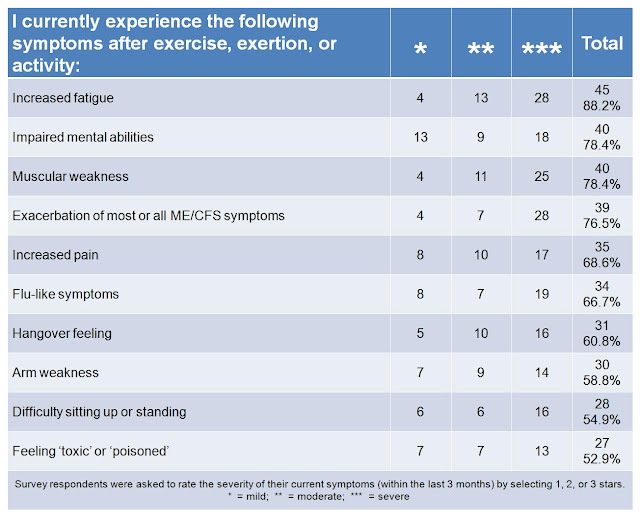 Is PEM Pathognomonic* for XMRV Associated Neuroimmune Disorder? 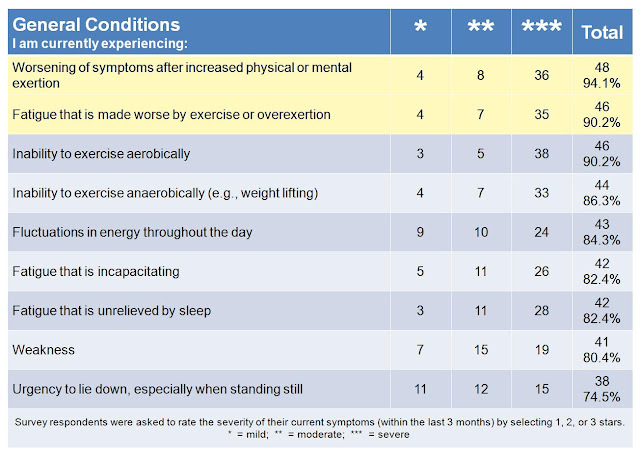 Eager to find answers to the question “What do people with XMRV (and associated human gamma retroviruses) have in common?” we looked at the results from the first 51 completed XMRV Positive Surveys. Of all the symptoms queried, post-exertional malaise (PEM) ranked the highest. 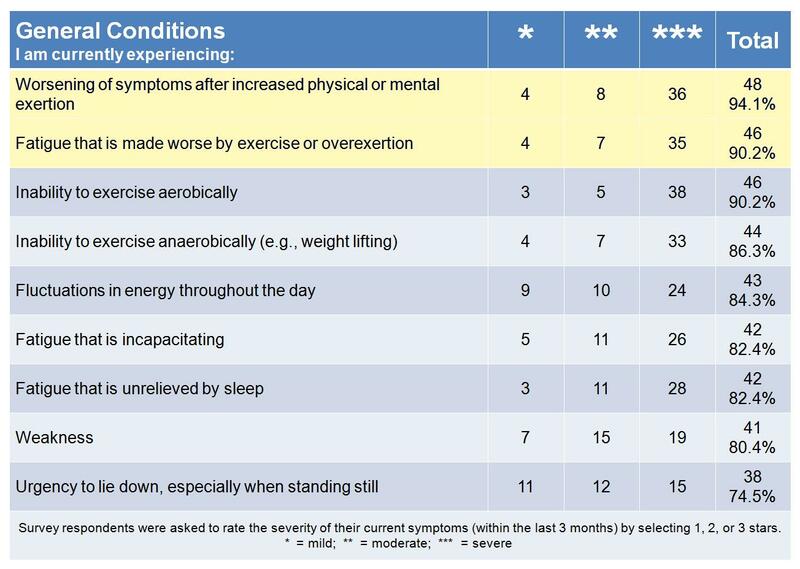 A whopping 94% of respondents reported some degree of worsening of symptoms after increased physical or mental exertion. We then looked at the particular symptoms associated with PEM as well as the time of onset and duration of those symptoms. 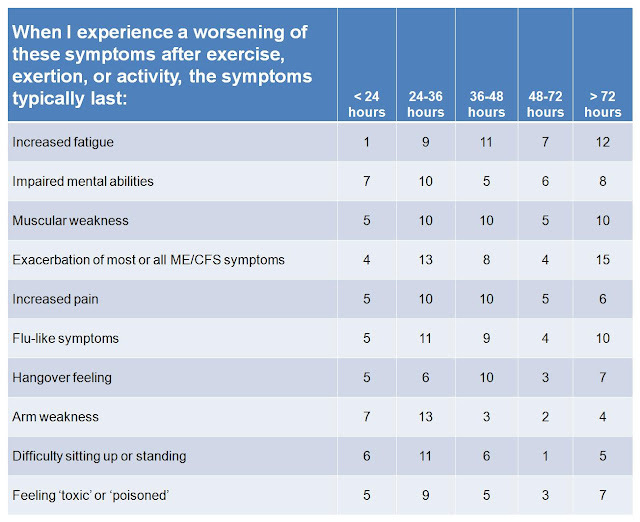 In the charts above, we reported all symptoms that affected more than 50% of the respondents. 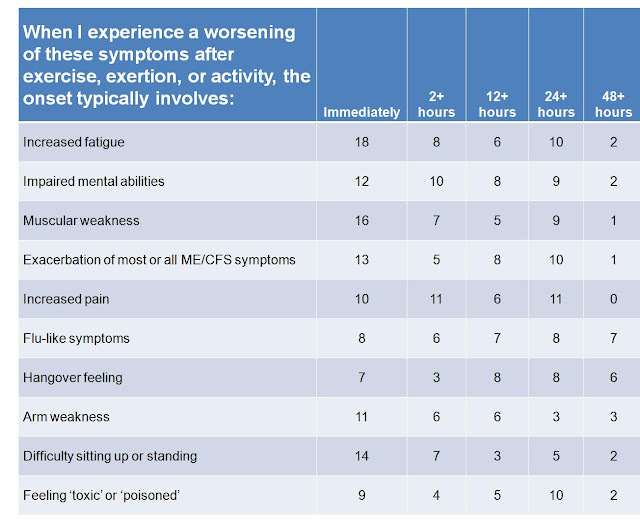 Our data closely mirror those symptoms described in the ME/CFS: 2003 Canadian Clinical Case (CCC) Definition1. * Pathognomonic - A sign or symptom that is so characteristic of a disease that it makes the diagnosis. The word "pathognomonic" (pronounced patho-no-monic) comes from the Greek "pathognomonikos' meaning "skilled in judging diseases."